On a huge prog kick after last week’s Myrath Tales of the Sands I thought I would continue my brief foray in the relatively distant to me progressive genre. 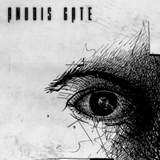 The band to explore this week was Danish Anubis Gate with their self-titled album, also on Nightmare Records. Maybe because I am the last thing you will call a prog junkie, just like Myrath was last week, I am new to Anubis Gate as well. As opposed to Tunisians, the Danes are even more of an established band, this self-titled release being their fifth. It does not matter to me one bit, both bands are a total clean slate, so don’t expect any comparisons and references to the earlier work. Anubis Gate is an hour long progressive album with a rather complex non-linear songwriting by a very professional group of musicians, where every song has its face and personality, but an album I found not easy to get into on the first few run-throughs. This is probably how good progressive albums are supposed to unfold. Repeated listening to the album reveal multiple, somewhat loose fitting (more on this later) parts and various subgenres representation, all with quality musicianship. Hold Back Tomorrow, Desiderio Omnibus and Telltale Eyes contain some hefty pounding riffs. Telltale Eyes is thrashing and darker, while Desiderio Omnibus is also a very energetic picker-upper of a song, and almost violent by Anubis Gate standards. On a moment’s notice, however, things can turn dreamy and introspective, just like they do with Hold Back Tomorrow. With Anubis Gate something that was Savatage can become The Flower Kings before you realize it. By design or spontaneously, many titles on the album devolve from more song-oriented power metal parts to clearly instrumental interludes. The two sides of the Anubis Gate coin do not always interlock seamlessly. Surprisingly, I personally preferred all those instrumental moments where the band could really develop their melodic ideas, flow keyboards in further and make the whole affair sound three-dimensional and voluminous. Instrumental inserts of moody and downtuned The Re-Formation Show and futuristic, Mad Max-styled World in a Dome were my favorite parts of the aforementioned cuts. At the same time, the designated instrumental River, its note bending and all, serves nothing but to be a segue to the monumental epic closer Circumstanced. Perhaps one problem with the vocalized parts of the album is exactly their centerpiece – the vocals themselves. I understand that vocal duties on Anubis Gate have been taken over by the bassist Henrik Fevre, who is also the band’s main lyricist. Singing his own poetry was obviously emotional for Henrik, but it is rather obvious that powerful delivery is not one of his strong suites. This is especially obvious when epic nature of Circumstanced requires some soaring above the fray, or dark riffing of Telltale Eyes calls for a grimacing snarl. The album’s songs do not blend into each other, and long after the album is done playing you can remember the playful hooky Facing Down, jagged rhythms of Gollum inspired Oh My Precious Life or balladic growing muscular Golden Days. The band’s devoted fans (and just looking through our forums I know there are many) will find quite a bit to like in this album, even if the band has taken on a slightly new direction with a new vocalist. I remain respectful for Anubis Gate abilities, yet not totally convinced to start voraciously searching for the band’s old catalog.